Bry-Air, Inc. has released its latest website which leads the industry in several areas with respect to web design and content. With the technology packed site, Bry-Air, Inc. leads industrial HVAC sites with many features not seen previously in the industry. Some of the more noticeable features include a mobile responsive design allowing users of mobile devices and tablets to have a very similar experience as the site auto configures the content to fit the particular device being used, live chat allows site users to speak directly with an engineer about anything from where to locate a tool or case study on the site to in depth sizing help for a system. The technology of the site coupled with the in depth educational and applications specific information all advance the value of the Bry-Air site to any user from the laymen to the industrial HVAC specialist. 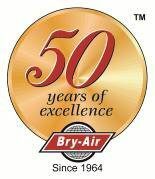 After 51 years of business, not only has Bry-Air launched the industry’s leading website, but their marketing team has been busy revising the company brand message. 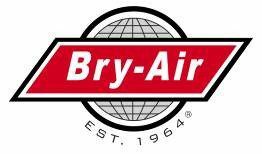 For many years Bry-Air, Inc. has been known throughout the industry as “The Choice for Desiccant Dehumidification®” while this fact remains very true, Bry-Air has expanded by launching the new brand message in 2015, “Total Environmental Conditioning Solutions™” which more clearly defines Bry-Air’s offering to the customer.